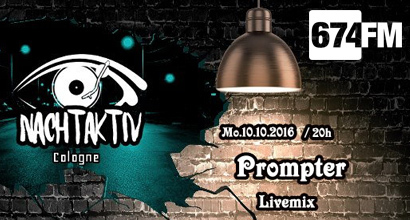 Prompter is an interesting pair of DJ’s comprising of Yury and Chris from Munich and Bonn. They got in touch on an occurs and pointed out that they have the same vision of electronic music. Yury is the part for the minimal perfection and finesses and Chris is for the feeling and organisation – together they have the perfect symbiosis and have experimented with a wide array of club sounds since their inception in March 2010. They’ve dabbled with Detroit techno, chunky deep house, frisky tech-house, latin-influenced carnival house, and heads down bleep techno. The name PROMPTER was the result of working a long time together via internet, because they are writing and producing online and sitting directly in front of screens where they read what they do, like a prompter.